シャルマン王子 Le Prince Charmant ソプラノ「ファルコン」もしくは "Soprano de sentiment"
大学長 Le Doyen de la Faculté テノール、"Trial"
^ Huebner, Steven (2006). 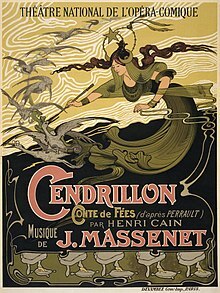 French Opera at the Fin de Siècle: Wagnerism, Nationalism, and Style. Oxford University Press. p. 100. ^ Finck, Henry T. (1910). Massenet And His Operas. John Lane. pp. 202-203. https://archive.org/details/massenetandhisop013975mbp. ^ Langham, Richard; Smith, Caroline Potter (2006). French Music Since Berlioz. Ashgate Publishing. p. 121. ^ a b Osborne, Charles (2007). The Opera Lover's Companion. Yale University Press. p. 221.